The SNCC Freedom Singers perform during a march in support of the Selma, Ala. Civil Rights Movement in Harlem, New York, March 1965. In Harlem, thousands turned out for a march in support of the Selma Civil Rights Movement in March, 1965. Civil Rights song leader Fannie Lou Hamer takes part in a workshop on Civil Rights songs at the 1965 Newport Folk Festival. From left, Guy Carawan, Fannie Lou Hamer, Bernice Johnson Reagon, and Len Chandler perform Civil Rights songs at the 1965 Newport Folk Festival. A woman in a Congress of Racial Equality (CORE) march in support of James Meredith in New York City, June 11, 1966. Two women take part in a N.Y. CORE march to support James Meredith in New York City, June 11, 1966. Civil Rights buttons are on display at a N.Y. CORE march to support James Meredith, New York City, June 11, 1966. A man pauses in a N.Y. CORE march to support James Meredith in New York City, June 11, 1966. Civil Rights activist Jimmy Collier leads a civil disobedience workshop in New York City, date unknown. A woman shows her grief during a memorial in New York for Martin Luther King April 5, 1968, the day after he was killed in Memphis. Peace marchers with a placard of Martin Luther King, New York City, April 27, 1968. Coretta Scott King, widow of Martin Luther King, sits next to the Rev. Ralph Abernathy, King's successor as leader of the Southern Christian Leadership Conference, at a rally prior to the start of the Poor People's Campaign in Memphis, Tennessee, May 1, 1968. Participants link arms in the Poor People's Campaign in Marks, Mississippi, May, 1968. The Georgia Sea Island Singers perform at the Reflecting Pool in Washington, D.C. during the Poor People's Campaign, May-June 1968. Bernice Johnson Reagon and Pete Seeger perform during the Poor People's Campaign in Washington, D.C., May-June 1968. Peggy Terry, Chicago organizer originally from Appalachia, at the Poor People's Campaign in Washington, D.C., May-June 1968. Marchers and singers at the Poor Peopleâ€™s Campaign, Washington, D.C., May-June 1968. Jimmy Collier is on the left, and Frederick Douglass Kirkpatrick is on the right. We honor African-American history and music with a look at the profound cultural contribution of the Civil Rights Movement, called by Guy Carawan "the greatest singing movement this country has experienced." The African American struggle for civil rights and equality inspired the many other socio-political movements in the USA and around the world. Bernice Johnson Reagon, a song leader of the Movement and civil rights music historian writes, "The core of Civil Rights Movement songs was formed from the reservoir of the Black American traditional song repertoire and older styles of singing. 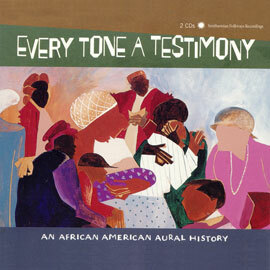 This music base was expanded to include most of the popular Black American music forms and singing techniques of the period. From this storehouse, activist song leaders made a new music for a changed time." 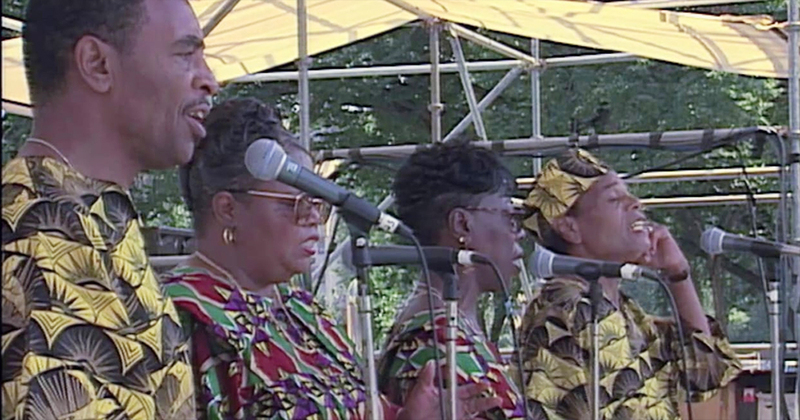 Many traditional hymns and spirituals sung in the Movement were not explicitly about civil rights and freedom, but they had multiple layers of meaning that made them relevant in this context. They became potent freedom songs. Other hymns and spirituals were adapted with new words to emphasize the struggle for freedom and related issues, such as voting rights. In addition to traditional spirituals, popular music of the 1950s was a rich source for Civil Rights song leaders. "Calypso Freedom" is based on the popular Caribbean "Banana Boat Song" recorded by Harry Belafonte. 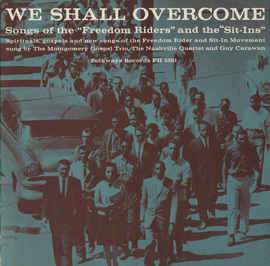 The new lyrics describe the experiences of the Nashville Freedom Riders. Some songs used humor and irony to make their point, as in "Your Dog Loves My Dog." The songs were sung in many different contexts: in churches, in mass meetings (often held in churches), at marches, rallies, and workshops. The Civil Rights Movement had many deeply inspirational and charismatic speakers and leaders, including the late Reverend Martin Luther King, Jr. and Reverend Ralph Abernathy. 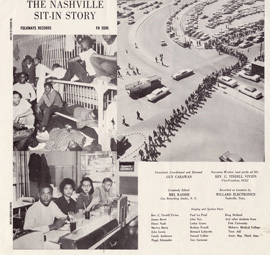 Song leaders such as Fannie Lou Hamer, Betty Mae Fikes, the SNCC Freedom Singers, Jimmy Collier and Willie Peacock led the singing in mass meetings and rallies. "We Shall Overcome" is frequently referred to as the anthem of the Civil Rights Movement. Originally a 19th-century hymn, it was used as a labor song in the 1940s; Zilphia Horton of the Highlander Folk School in Tennessee heard African American tobacco workers singing it on a picket line in 1946. One of those workers, Lucille Simmons, changed the original lyric from "I" to "We" making it more powerful for a mass movement. Horton added some verses and taught this version to Pete Seeger in 1947. In April, 1960 folk singer Guy Carawan sang it to the founding convention of the Student Nonviolent Coordinating Committee (SNCC) in Raleigh, North Carolina, and it quickly spread throughout the Civil Rights Movement. Seeger, Carawan, and Frank Hamilton copyrighted the song to protect it from becoming a commercialized pop song. All royalties go to the nonprofit We Shall Overcome Fund, which provides grants to assist African American musicians in the South. 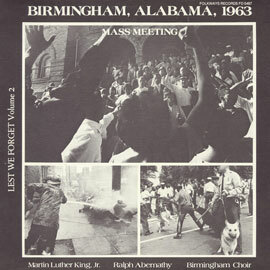 Several versions of "We Shall Overcome" are available for listening. 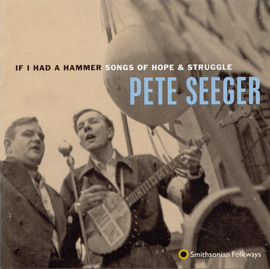 We hear two versions from Civil Rights mass meetings (in Nashville, Tennessee and Selma, Alabama), followed by a version sung by Pete Seeger. "We Shall Overcome" and the many other songs of the Civil Rights Movement speak deeply of the determination, nonviolent resistance, and spirit of this turbulent time. 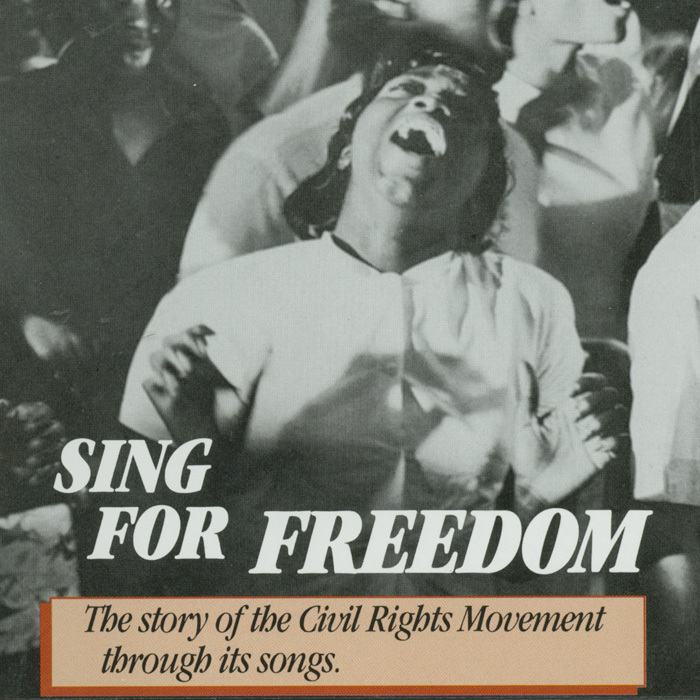 Wherever and however they were sung, the freedom songs reflected their roots in African American cultural tradition. 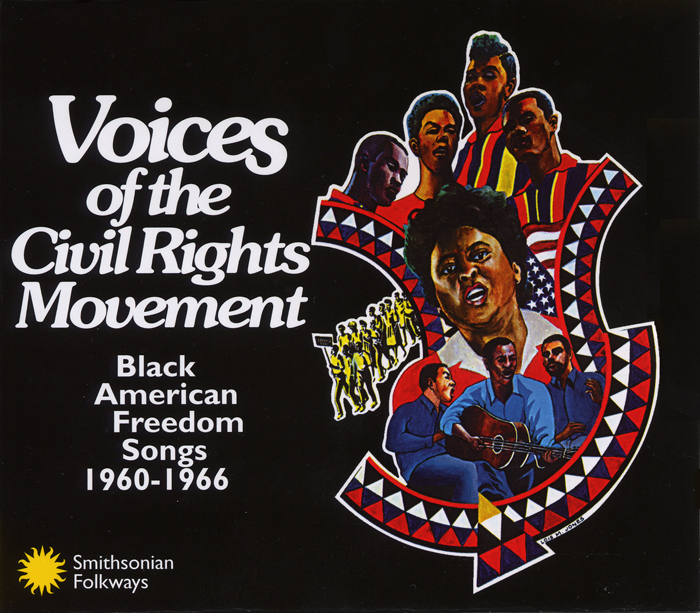 Songs of the U.S. Civil Rights Movement.